Dbri grew up with a great influence of different music, his father was, and still is a musician.Early on Dbri fell in love with the great sounds of violin and piano. Born in Mexico City and raised in New York City, he has been influenced by a diverse spectrum of hip-hop, jazz, classical & electronic artist. In the ever changing world of New York, he took the best of the city’s diverse influences and formed his own sound as a result he has had the chance to spin at some of the best venues in New York City, Miami, all across Mexico, and in Canada. He has also shared the stage with some of the biggest names in the industry and with 14 years under his belt. In 2008, along with friends Val N Sky and Wirik, Dbri formed the group Made In and in 2009 started a weekly podcast series available on iTunes called Dbri Podcast Radio where artists like Mark Mendes, Jay Lumen, Eelke Kleijn, Darin Epsilon, Jordi Riera, and Signal Deluxe have been featured with great success. 2010 was a big year for Dbri with tracks signed to Cueplay, Proton, and Lohit that were major achievements in his humble career. This year he hopes to continue that string of success with a string of upcoming releases, a full length album with production partner Wirik, and a mini-tour of Mexico. In the meantime, Dbri remains an active DJ in Canada and his work can be found on Beatport under labels like Proton, Lohit, Amplified Music, Cueplay, Highlands Music, 530Techno, Harmonious Discord and an upcoming EP on Vinyl out of Nil Records in 2012. Born in Mexico City, Wirik began his studies as a musician and jazz guitarist. His biggest influences have been Paco de Lucia, Victor Wooten and Ozric Tentacles. Tired of working on projects with people who were not really committed and did not feel the same passion. 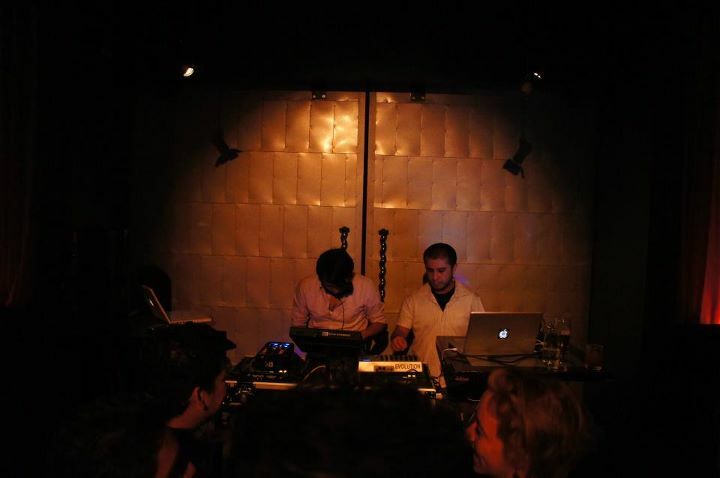 In Canada, with a group of Mexican electronic musicians, Wirik had the opportunity to perfect his electronic project and decided to collaborate with his friend Ivan Dbri.